UCLA has launched a national and international search for a top post-doctoral scholar who will be the inaugural recipient of the Jahangir and Eleanor Amuzegar Post-Doctoral Fellowship in Contemporary Iranian Studies. The Amuzegar Fellow, who may be appointed for up to two years, will be housed in the Department of Near Eastern Languages and Cultures (NELC). The Amuzegar Fellow will conduct original research, develop and teach undergraduate and graduate courses, and participate in academic programs hosted by the NELC department, the Program of Iranian Studies, the Pourdavoud Center for the Study of the Iranian World in the Division of Humanities, as well as other affiliated departments and centers at UCLA. The Amuzegar Fellowship was established in 2015 following a gift of $1 million by UCLA alumnus Dr. Jahangir Amuzegar, who passed away in 2017 at the age of 98. “The fellowship established in memory of Dr. Jahangir Amuzegar, a remarkable scholar, stateman, and UCLA alumnus, greatly honors us. It substantially enriches Iranian Studies at UCLA, while providing emerging scholars the leisure to pursue innovative and consequential research on Modern Iran,” said M. Rahim Shayegan, Director of the Pouradvoud Center. 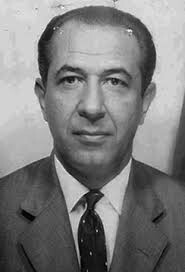 Dr. Amuzegar was an economist and former Iranian government official who served as Iran’s ambassador-at-large to the United States from 1963 to 1979. He was also a member of the board of the International Monetary Fund and a special advisor to the IMF director from 1979 to 1984. 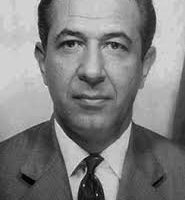 Previously, he had served as Iran’s minister of commerce and minister of finance in the early 1960s, and as chairman of the National Iranian Oil Company. Dr. Amuzegar wrote widely on Iran’s economy and politics and was the author of several books, including “The Islamic Republic of Iran: Reflections on an Emerging Economy” (2014), “Managing Oil Wealth” (1999), “Iran’s Economy Under the Islamic Republic” (1993) and “The Dynamics of the Iranian Revolution” (1991). Dr. Amuzegar held a bachelor’s degree in Economy from Tehran University and a Ph.D. in Economics from UCLA. In addition to the postdoctoral fellowship, in the year 2000, he and his late wife established the Jahangir and Eleanor Amuzegar Chair in Iranian Studies at UCLA, held by M. Rahim Shayegan. The chair promotes innovative research on, and teaching in, all aspects of the Iranian civilization, including Iranian antiquity and the classical period.